Open any newspaper on any given day and you will read a piece or two on a nearby apartment robbery. Crimes and criminals are on the rise and those who do not take security threats seriously end up in a newspaper report themselves. Do you want your house to be vandalized due to poor quality locks? 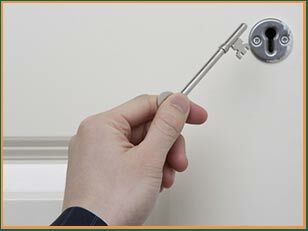 If your answer is no, contact Manassas Lock And Key and avail our affordable apartment lock change service. When should I change my apartment locks? Old, rusted, and ancient lock are an open invitation to security threats as they are incredibly easy to pick and show that you are not really concerned about your security. If your locks are more than 5 years old, get them inspected by our locksmith experts. Countless clients in Manassas, VA area have trusted our expert opinion in the past and would readily vouch for us and our honesty. If you are a victim of a break-in or have suffered severe lock damage due to some mishap, immediately call us for help. We offer 24x7 emergency services and will reach you in a jiffy for an urgentapartment lock change solution. Our mobile units are known for their timeliness and never reach a minute later than expected. As we have iterated before, thieves can make short work of any old lock out there. If you are living under the misconception that you will never be their target or have simply overlooked the eventuality, it’s high time you give it a serious thought. Modern locks, especially advanced digital locks, are built to withstand any break-in attempt and come at affordable prices. If you are unsure how to select one for your apartment or just don’t understand the technical specifications, leave it all to Manassas Lock And Key. Our friendly locksmiths will happily guide you through our vast selection and explain the security features of each and every lock in the inventory. Once you narrow down on a lock, our technicians will carry out an affordable apartment lock change procedure and ensure that your new locks are in perfect working condition with several quality checks. People of Manassas, VA value the advice of our experts and have declared us the best locksmith firm in the city. 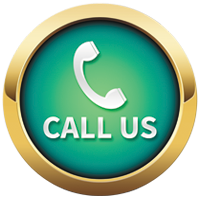 We have the most competent technicians, offer affordable service, and can be easily approached on our 24-hour helpline. Have you not had a lock change in a long time? Avail ourapartment lock change service now! Call us at 703-270-6005 !